What does pole valuting have to do with inquiry. At first glance, not much. However, like most sports the pole vault requires a great deal of mental conditioning and analysis in order for a coach and athletes to master this sport. It could be argued that the physics of pole vault make it one of the most analytical sports on the planet. 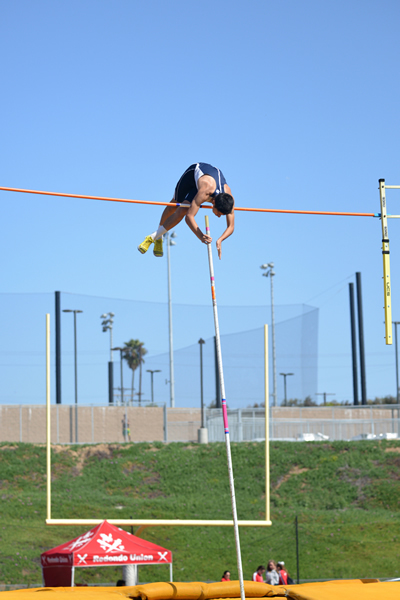 For several years I have coached pole vault at Loyola High School with my good friend Fernie Hernandez. Even though I vaulted in high school and college (and still do from time to time), from Coach Hernandez I have learned (through an inquiry process) a great deal about the sport. I have also learned more about being part of a "community of inquiry" by being part of the coaching staff at LHS. Our team has won six consecutive CIF titles and in 2011 we won a national championship.